Audio Addiction is a local music resource currently under development. Our project studio is currently being upgraded and will offer tracking, mixing and mastering. Plans are to expand into live technical support and promotional services later this year. April 26th, 2013 - Fate's Maze releases a single from their upcoming CD. The single "Rise of a New Night" features vocals from Tracey Cramer-Kelly and guitar from Scott Kirchoff. It is available for download from Broadjam.com. All of the audio tracking and mixing was done in the Audio Addiction project studio. March 9th, 2013 - Local solo artist Steve Johnson starts work on a new demo in the Audio Addiction project studio. 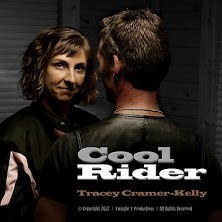 January 31th, 2013 - Tracey Cramer Kelly released her new video "Cool Rider". Almost all of the audio tracking and mixing was done in the Audio Addiction project studio. Check it out on YouTube: Cool Rider video. 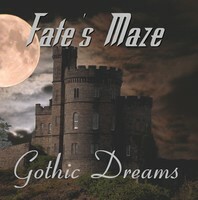 June 27th, 2012 - Fate's Maze's debut CD "Gothic dreams" is now available on CDbaby.com All tracking was done in the Audio Addiction project studio. "Hard Rock with Veins of Metal and Darkness"
"The trouble with real life is that there's no danger music."